ALIGN is committed to popularizing and innovation in flying community for best flight experience. This page is intended to help pilots unleash their imagination safely and responsibly. Lawful and compliant flight operations not only allow you to enjoy flying pleasure safely, but also are extremely important for the development of drones. Please follow local regulations when flying and fly to a legitimate remote flight field to work together to maintain a safe drone flight environment. Here you will get the latest information included instruction video, Q&A of obstruction flying object and National airports airport no-flight zone, allowing a more specific, explicit, and practical information regarding flight safety. Question1: What are the obstruction to flying aircraft? Answer: It refers to the use of kites, sky lanterns, fireworks, remote control aircraft, balloons or other floating or moving objects that may affect the flight safety. For example, there are companies or schools operating unmanned aircraft systems (UAS) for aerial photography near the airport. The behavior and remote control aircraft also affect flight safety and it’s strongly prohibited. ◎Reference: “The Civil Aeronautics Administration of the Ministry of Transportation and Communications: The Rule and Regulation of Obstruction to Flying Aircraft” Article 3. Question 2: Why can’t we fly kites, remote control aircraft and fire the fireworks near the airport? Answer: The airport is the place for airplane taking off and landing and as a transportation station for carrying passengers and goods. Flying kites, remote control aircraft and fire the fireworks near the airport may cause distractions or psychological threats to the pilots and affect flight safety. Besides, these obstruction may also be hit by airplane or inhaled by engine result in aircraft damage. Therefore, in order to ensure the safety of life and property of passengers and flight crew, these objects must be prohibited to fly and use near the airport. Question 3: Which airports are forbidden to fly obstruction to the aircraft nearby in Taiwan? A. Civililian or joint civilian/military airports: Taipei Songshan, Taiwan Taoyuan, Taichung Qingquangang, Chiayi, Tainan, Kaohsiung Xiaogang, Hengchun, Hualien, Taitung Fengnian, Kinmen, Magong, Nanzhao, Beibei, Qimei, Wangan, Ludao and Lanyu. The Civil Aeronautics Administration of the Ministry of Transportation and Communications is in charge of these 17 airports. B. Military airbase: Taoyuan Base, Hsinchu, Okayama, Pingtung, Jiashan Jiashan, and Taitung Zhihang. Ministry of National Defense R.O.C. is in charge of these 6 airports. Question 4: What is the scope of prohibited airspace near the airport? Answer: A. The prohibited airspace is calculated based on the runway. It is centered on both ends of the runway, with a radius of 5 km and an arc of 35 degrees to the left and right. And from the left and right sides of runway center line, the area covered by each 2.6-km area which is slightly shaped like an oval. B. Moreover, based on (A) prohibited airspace, from the central of both ends of the runway, extending another 10km at a radius of 5 km outwards; and extending another 3.4km from the centerline of the runway at a distance of 2.6 km outwards like a square. As a huge rectangle shape starting from 60 meters high or more where it is forbidden to fly obstruction to aircraft. C. Please refer to the following diagram. The oval area is the prohibited airspace to aircraft. And the huge rectangle area is the prohibited airspace with 60 meters height or more. A. The Civil Aeronautics Administration has set up map websites for 5 airports: Taipei Songshan, Taiwan Taoyuan, Kaohsiung Xiaogang, Hengchun and Kinmen. (The website address is: http://www.caa.gov.tw/ Airports Flight Information / Obstruction to Flying Aircraft) It allow to map landmarks to ensure you’re out of prohibited airspace for flight safety. Take Taipei’s Songshan Airport as an example. Dajia Riverside Park, Xinsheng Park, and the Zhongshan Football Stadium are the places in prohibited airspace area which is forbidden to fly objects from the ground completely. The Sun Yat-Sen Memorial Hall, Taipei City Government Square, and Taipei 101 Building are the places in prohibited airspace area which is forbidden to fly objects from 60m height of Taipei’s Songshan Airport. B. Besides, you can check the information from geographical systems, such as Google Earth. It can be used to roughly measure the distance between your aircraft home position and the airport runway centerline nearby. Take Taipei 101 as an example, in Google Earth, the straight line distance from Taipei 101 to the centerline of Taipei Songshan Airport runway (28 runway end) is about 4 km that is the place in prohibited airspace area which is forbidden to fly objects from 60m height of Taipei’s Songshan Airport elevation. C.	If you are still not sure about your location for prohibited airspace area. 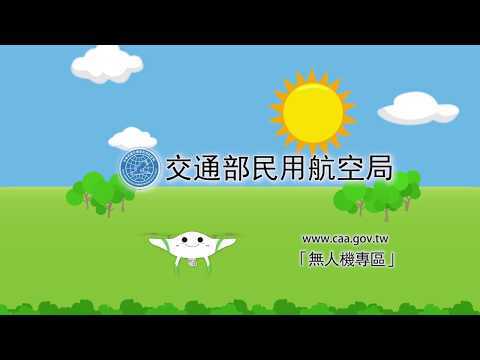 For any further question, please send an e-mail to The Civil Aeronautics Administration mailbox gencaa@mail.caa.gov.tw or call 02-87702254 / 02-87702541. We will help you and reply as soon as possible. Question 6: Will it affect flight safety if I fly a kite near a home park or operate a remote-controlled aircraft for recreation? Need to apply to the civil aviation authority? Answer: You can first check whether the site is within the prohibited airspace area. If it is, it will affect the safety of flying. As for those who have specific requirements, they should apply to the Civil Aeronautics Administration for approval in accordance with the “The Civil Aeronautics Administration of the Ministry of Transportation and Communications: The Rule and Regulation of Obstruction to Flying Aircraft”. Question 7: I want to apply sky lanterns, remote control aircraft and other activities in the vicinity of the airport, or operate unmanned aircraft systems to perform aerial photography. How do I apply? Answer: A. If it is intended to release obstruction flying objects around civilian or military-civilian airports, the application form should be completed in accordance with the “Regulations of the Civil Aeronautics Administration of the Ministry of Transport on the Prohibition of the Rule and Regulation of Obstruction to Flying Aircraft”. The Civil Aeronautics Administration applied for approval. B. In the case of a national defense or official use, the person intending to operate a remote control aircraft to perform aerial photography or operate an unmanned aerial vehicle system, operator shall be based on the Air Navigation Bulletin No. AIC 04/2012 dated November 26, 101 issued by the Civil Aeronautics Administration, filling out the application form for unmanned aircraft systems operations and submitted to the Civil Aeronautics Administration for approval. The relevant objects, registration and airworthiness certification, qualifications of operation team members, application methods, operation restrictions, incident/accident reporting procedures, and other matters shall be handled in accordance with the contents of the aforementioned Air Navigation Bulletin. C. The Civil Aeronautics Administration has assessed that its release does not affect the flight safety and the airport has no aircraft activity, it’s approved to release. ◎References: ” The Civil Aeronautics Administration of the Ministry of Transportation and Communications: The Rule and Regulation of Obstruction to Flying Aircraft “, Air communique number AIC 04/2012 “Unmanned Aircraft System (UAS) in Taipei Flight Information”. Question 8: Will it be banned when releasing obstruction flying objects without application for approval in the prohibited scope around airports? Answer: If it in the scope of the announcement of the civilian and military-civilian airports, not approved by civil aviation authority, planned to release obstruction flying objects, the aircraft station that belongs to the Civil Aeronautics Administration is informed or find out it, they will go to the scene with the aviation police station. After verifying the facts, they will issue with a written copy. 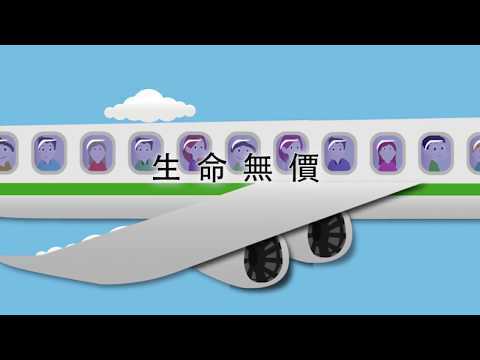 In addition, according to the Civil Aviation Law, anyone who violates the rules and release obstruction flying objects is fined NT$300,000 up to NT$1.5 million. ◎References: “Civil Aviation Law”, Article 34, 2nd item and Article 118, 1st Item, and “Points of Implementation of the Ministry of Communications, Civil Aviation Administration of the Prohibition of the Use of Barriers to the Safety of Flying Objects around the Airport”. 4th subsection. Answer: Within the control scope of the airport, if it is planned to release obstruction of flying safety objects, it must be approved by the competent authority. If it is found around the airport that a suspected violation involves the release of obstruction of flying safety objects that impedes aviation safety, for example, closed to civilian airports and military-civilian airports, please inform the airport operator or civil aviation authority of the local airport; if it is a military airbase, please inform the airport where it is located or Defense Department.